Do you love gnomes? Do you love nature? 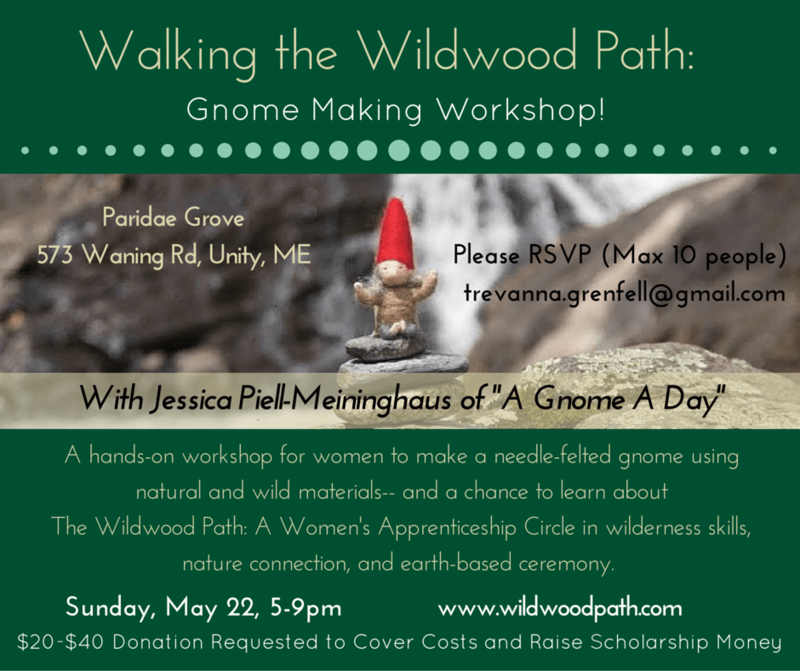 Come make your own needle-felted gnome with a circle of women in the wild! We’ll harvest some wild materials as well as working with natural wool to craft a miniature felt creation that expresses your unique vision. If you’ve been curious about how we build community and learn skills through The Wildwood Path, come join us to learn more about what this incredible program is all about!